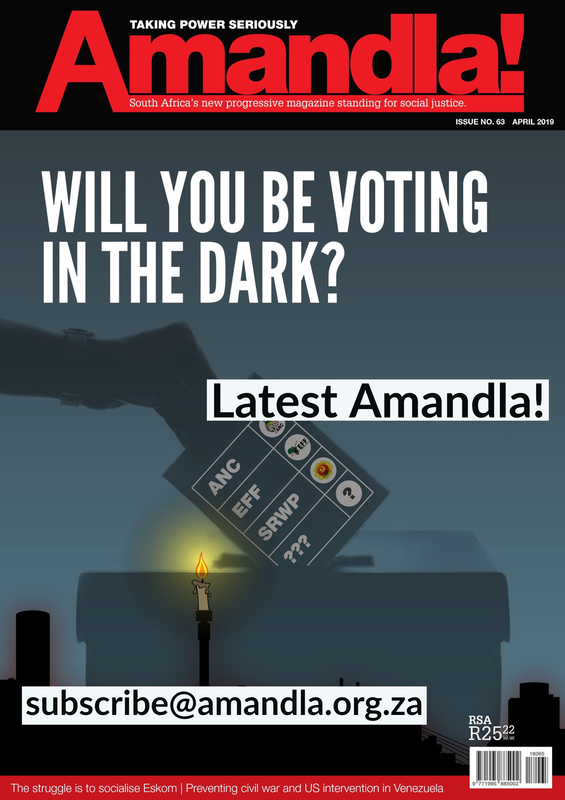 From a Minister picked from obscurity to do the bidding of a powerful patronage network, to the entrenchment of elite capture of the mineral wealth of the country, the latest Mining Charter flatters to deceive. Like the story of post 1994 South Africa, it leads only to deeper inequalities. On the face of it, the Charter speaks of increased Black South African representation in the ownership structures of corporate mining and greater economic opportunities for black South Africans in the hitherto white and foreign-dominated value chain of the industry. The Apartheid system viciously excluded the vast majority of South Africans from the economic fruits of their labour. In its aftermath, such grand rhetoric and policy may have been warmly welcomed in an atmosphere of hope and trust that the world renowned and revered leaders of the Liberation Movement would be able to deliver a “Better Life For All”. But today, 23 years after the first promise of a better life for all, the liberation movement and its leaders have been exposed as charlatans and frauds. Our faith and hope has been eroded to the point where we can longer accept that antiquated notions of elite capture of the country`s wealth represent an advancement for all. Instead, our experience of the last quarter century shows that the lived experiences of those directly and indirectly impacted by mining in this country has been one of increasing poverty and food insecurity, together with a steady and increasing erosion of our rich environmental heritage. 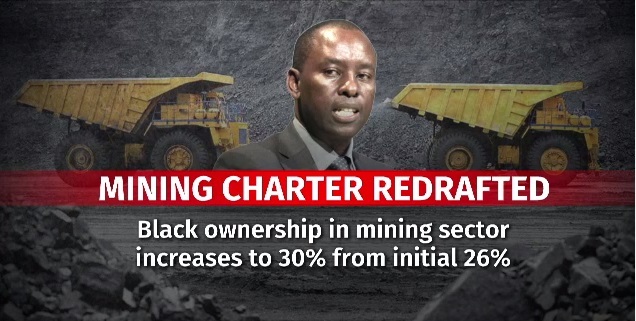 One of the major objections to the Charter, which has resonated across the board, from the Chamber of Mines to mining communities and civil society, is the lack of consultation by the Minister and the Department of Mineral Resources (DMR). Where consultations did take place, they were merely tick-box exercises, with little or no real engagement or opportunity to influence the content of the Charter. This lack of broad-based input and consultation is a reflection of the deep-seated sense of superiority that has corrupted the very soul of the governing party. The party and its unaccountable deployed apparatchiks have convinced themselves that they, and only they, have the answers to our collective problems, and that they, and only they, should be the ones to benefit. Consulting stakeholders and affected parties is thus a minor inconvenience that can easily be remedied by ticking a box. The latest version of the Mining Charter boldly speaks in its preamble of the “systematic marginalisation of the majority” and its aims to “redress the historical socioeconomic inequalities”, which must “ensure broad based meaningful participation”. But this belies the fact that the Charter intends explicitly to benefit only a small elite, most likely those connected into patronage networks. For starters, there is a narrow focus on the 30% shareholding. This must be allocated to entrepreneurs (14%), Employee share ownership schemes (8%) and Community Shareholding (8%). This suggests that merely ensuring that “Black Persons” are part of the shareholding structures will miraculously transform the sector. It will change from one which violently exploits the earth and its people and which has been the central pillar of the Apartheid hierarchical and exclusionary state, to a broad based economic miracle. With the benefit of hindsight, we can today clearly and categorically make the argument that this fallacious economic policy has failed spectacularly to free the vast majority of South Africans from the chains of poverty. Instead it has contributed to entrenching the deep economic divisions of the past. 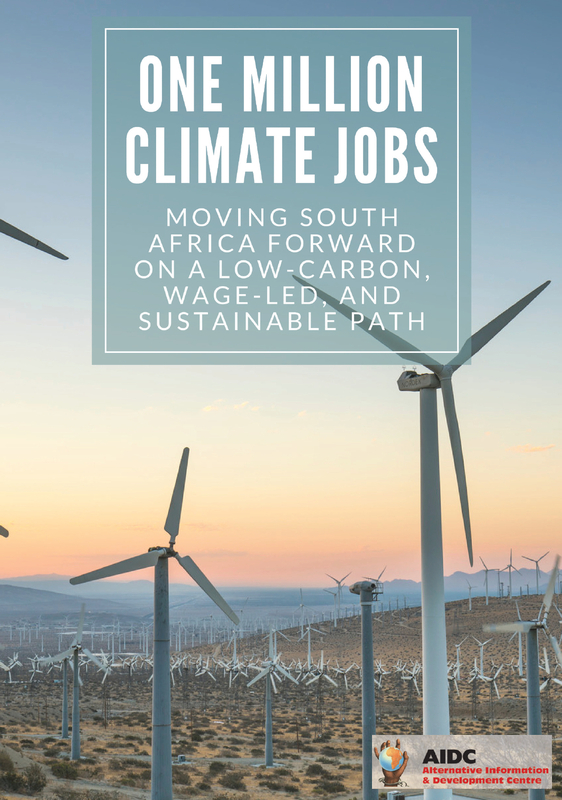 It has produced BEE networks which have not only continued the economic trajectory which has `resulted in South Africa being the most unequal society in the world. It has also shown us how these same BEE individuals would not hesitate to deploy the full might of the state to crush and kill any who dare ask for a living wage. At first, what seems like a welcome broadening of the BEE patronage networks to include community shareholding is soon exposed as yet another vehicle to enrich a few connected patronage clients. Instead of being controlled by the community itself through collective and democratic processes, the community shareholding will be controlled by a new vehicle of private enrichment called the Mining Transformation and Development Agency (MTDA). There have been other entities which claimed to act in the interests of communities. There were the “D Accounts” of the Bapo Ba Mogale community, for example. According to the Public Protector, R617 million went unaccounted for. This new agency has all the hallmarks of allowing patronage networks easy access to extensive public funds. The MTDA will not only benefit from the community shareholding. It will also be the legal custodian of 1% of all foreign turnover generated from local mining companies. And it will receive 2% of the leviable amount of all mining companies to Human Resources development. The MTDA, in true anti-spirit of broad-based meaningful participation, will not be open to public scrutiny and will only be required to report to the Minister. Surprise, surprise. The current Charter also does not seek to change the structure of Social Labour Plans. They have been shown to be a blunt instrument and have spectacularly failed to deliver on the developmental obligations to communities. Instead, they maintain the current inefficient system: municipalities often absorb most of the funds to maintain lavish lifestyles. Meanwhile, communities impacted by mining, who the Social Labour Plans are meant to benefit, continue to sink ever deeper into poverty and food insecurity. In short, the Charter represents the very worst of the South African political economy and offers no solutions to the growing inequality and increased poverty generated by the current economics of the sector. 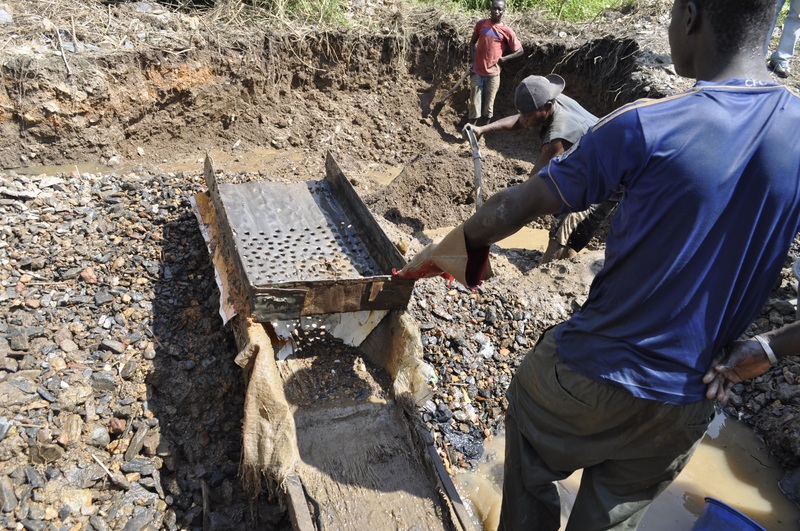 The need for a new social compact in the mining sector is urgent. The post 1994 compact was essentially an elite arrangement. The governing party was promised that its cadres would be greatly rewarded for their support of the Mineral Complex. Many ANC leaders have indeed benefited well from this elite pact. It is now time for the vast majority to be allowed to renegotiate that compact. The increased tax on the sector must be socialised to benefit a wider range of stakeholders. Compensation for loss of host community livelihoods must be clearly determined. Mining corporations must be required to open their books to society in order to realise the communal nature of the mineral resources and to prevent illicit financial flows. The Mining Charter should accommodate and assist artisanal mining in order to benefit communal community associations. Democratic, participatory community control over developmental and productive practices must be put in place to prevent environmental destruction and ensure relevant community developmental paths. A People’s Development Mining Charter must be recognised and developed. It should outline the broad aspirations of mining affected communities that must be accommodated in developmental plans. We have had 23 years of failed policies and increasingly autocratic management of the sector. There is growing inequality, poverty and discontent. It is time to take a serious look at what has worked and what has not. That exercise cannot be done by an elite closeted behind closed doors. It must be opened for public scrutiny and engagement. The time for tin pot despots is over. Christopher Rutledge is the Natural Resources Manager for ActionAid South Africa. He writes in his personal capacity.